In the old days, I never had the inkling for TV series, in fact, I found them dull, boring and simply out of my league. 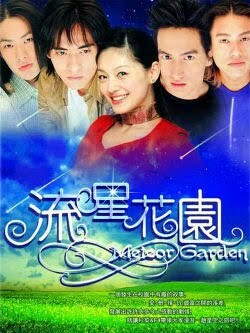 But, sometime in 2004, I was just too curious when my co - teachers and students would not stop mumbling about Meteor Garden. In fact, national news even covered the national mania over this Taiwanese opera. So, I patiently watched it and never stopped watching other Asian series. But, the obsession for Taiwanese operas was surpassed by Korean series when series like Full House, Lovers in Paris, Princess Hours overwhelmed the national prime time tv slots. 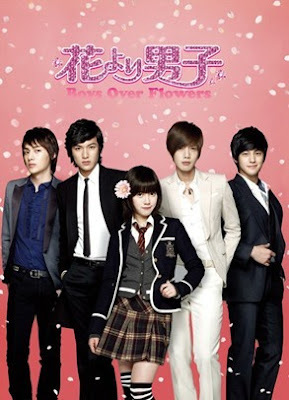 The last craze was Boys Over Flowers and Perfect Match. I don't however watch all the Korean / Taiwanese series. So, with the right cast and story, I am simply hooked. The last few titles I have seen include It Started with a Kiss and They Kiss Again(Taiwanese), Coffee Prince (Korean), Mischievous Kiss (Korean), and He's Beautiful(Korean). I still have three (3) more titles to see: Mary Stayed Out Last Night(Korean), Baker King (Korean), and Autumn Concierto (Taiwanese).